Toyota's finance arm says it has no plans to change its U.S. pricing model used to arrange and extend financing to new-vehicle buyers. Editor's note: Kenneth Rojc is managing partner of the auto-finance group at Chicago law firm Nisen & Elliott. His credentials were misstated in an earlier version of this story. Follow American Honda Finance Corp.’s lead. That’s what regulators are urging other auto-finance captives to do, after Honda’s captive finance arm on Tuesday entered into a settlement under which it agreed to limit dealer reserve and pay $24 million to consumers harmed by alleged auto-lending discrimination nationwide. 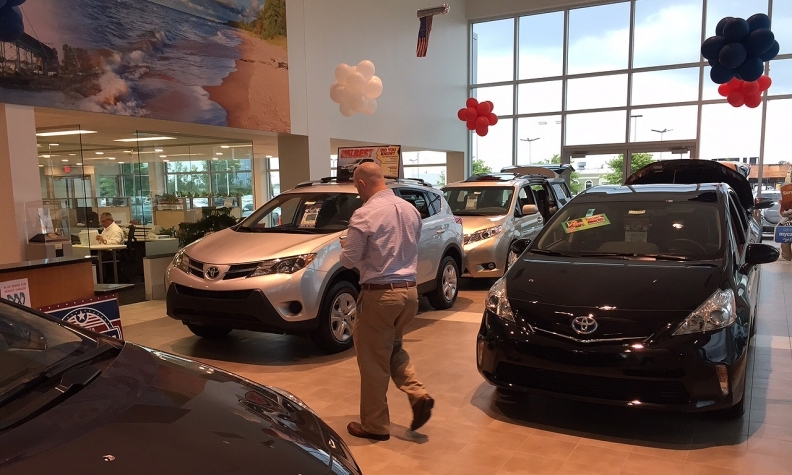 The terms of the settlement maintain some marketplace competition, one dealer lawyer said. But officers of two major dealer associations say it will significantly reduce consumer’s ability to save money. Honda Finance resolved claims made by the Consumer Financial Protection Bureau and the Department of Justice by entering into a public administrative settlement, filed Tuesday in the U.S. District Court of the Central District of California. Honda’s finance arm agreed to limit dealer discretion to 1.25 percentage points for loans of 60 months or less and to 1 percentage point for loans longer than 60 months, the Justice Department said. Dealer discretion -- also known as dealer reserve, rate participation or dealer markup -- is the share of a car buyer’s interest-rate payments that the dealership earns for arranging the loan. In addition to the $24 million in payments to consumers, Honda also will pay $1 million “to fund a consumer financial education program focused on consumer auto finance that is designed to benefit African-American, Hispanic and Asian/Pacific Islander populations,” the statement said. Investigations by the federal agencies that led to the settlement determined that Honda’s use of dealer reserve caused minorities to pay higher interest rates than others borrowers with similar credit. The Justice Department’s complaint alleges that the average African-American consumer paid over $250 more during the term of a loan because of discrimination. The average Hispanic consumer had to pay over $200 more, and the average consumer of Asian/Pacific Islander descent had to pay over $150 more, the complaint alleges. The bureau uses the Bayesian Improved Surname Geocoding method to infer race and ethnicity based on applicants’ addresses, names and census information. Honda Finance “has a difference of opinion with the CFPB and the DOJ regarding the methodology used to make determinations about lending practices, but we nonetheless share a fundamental agreement in the importance of fair lending,” the lender said. Gupta said that the department believes that dealerships “should be fairly compensated” for connecting consumers with lenders and that the new compensation system will balance fair dealer compensation and fair consumer lending. “We hope that Honda’s leadership will spur the rest of the industry to constrain dealer markup to address discriminatory pricing,” Gupta said. “Honda’s proactive decision to move to a new pricing and compensation system demonstrates industry leadership and represents a significant step towards protecting consumers from discrimination,” he said. One dealer association, however, said it was “mystified” by the ruling. Other associations took a similar tone. “There’s no getting around the fact that this enforcement action is going to reduce the savings consumers depend on when financing a new vehicle,” said Brad Hoffman, chairman of the American International Automobile Dealers Association. “Everyone in our industry is mystified as to why the government continues to overlook its own common-sense approach in favor of the anti-consumer methods forced on Honda Finance,” he said in a statement. Bill Fox, chairman of the National Automobile Dealers Association, said the order will “hamstring” consumers’ ability to negotiate lower interest rates on their auto loans. On the other hand, Kenneth Rojc, managing partner of the auto-finance group at Chicago law firm Nisen & Elliott, noted that the Justice Department and CFPB did not force Honda to switch to a flat fee for auto loans, thus maintaining some level of competition. Late last month, American Banker reported that the CFPB was planning to cite Honda Finance, along with the finance arms of Toyota and Nissan, for discriminatory auto lending. “We look forward to continuing to work with [regulators] in pursuit of an outcome that serves the best interests of consumers while preserving auto finance providers’ ability to compete,” the company said then.